Fr. Fraser was ordained “for the missions” in Genoa in 1901. After a visit to Canada to bid goodbye to his family, he set sail for China in 1902. Fraser arrived in China on December 21 and was assigned to the Diocese of Ningpo. He was the first North American priest to undertake mission work in China. Eight years later, Fraser returned to Canada and spent two years trying to raise interest in the work in China. At that time, he also visited the United States, Ireland, Scotland and England. He then returned to his work in China. On November 9, 1918, Fr. Fraser finally received authorisation from Archbishop Gauthier of Ottawa to establish a mission college in his diocese. The new college was opened in a renovated flourmill in Almonte in September 1919. In 1921, the college was moved to Scarborough, Ontario, and in 1924, the staff and students moved into a new building on the property adjacent to St. Augustine’s Seminary. Because of its location in Scarborough, China Mission Seminary eventually became known as Scarboro Missions. Meanwhile, John Fraser continued his work in China, gradually joined by graduates of his college in Scarborough. 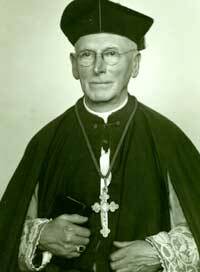 In recognition of his efforts, he was made a Prothonotary Apostolic of the Church in January 1932 at St. Michael’s Cathedral in Toronto. From this point on, he was known as Monsignor Fraser. Fraser’s busy life in China was interrupted in 1941 when he returned to Canada to attend to important matters of his growing mission society. On his return Fraser, was trapped in Manila by the outbreak of World War II. He was interned for three-and-a-half years during the occupation of Manila, returning to Canada completely destitute in 1945. In 1946, Monsignor Fraser once again set sail for China and continued his work in Kinhwa. Three years later, he returned to Toronto to attend the second General Chapter of the Society in 1949. He never returned to China. Shortly after his departure, communist forces seized power and China was closed to any missionary endeavours. 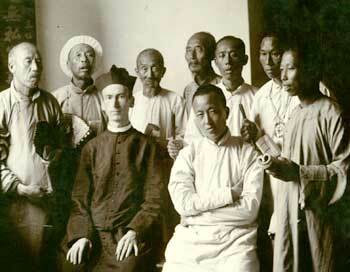 Fraser’s fellow Canadian missioners who remained in China were arrested and eventually expelled from the country. Undaunted by the closure of the China mission, Monsignor Fraser soon accepted an invitation from Bishop Yamaguchi of Nagasaki, Japan to establish a new mission in that country. In May 1950, at 73, he boarded a train in Toronto en route to a new life in Japan. As in China Monsignor Fraser was tireless in his efforts to bring the Christian faith to the Japanese people: building churches and establishing schools in Nagasaki, Fukuoka and Osaka. In September, 1962, at the age of 85, worn out by his years of service to the Church, Monsignor Fraser died peacefully at his residence in Osaka. He is buried in Shukugawa Catholic cemetery in Osaka. John Fraser was a true visionary and a man of tremendous courage and energy. He saw the vast mission field of China and realised the need to organise mission societies, which would bring the message of Jesus to the people of that huge country. Fraser not only founded the Scarboro Foreign Mission Society (Scarboro Missions) but was instrumental in establishing the Society of St. Columban in Ireland. Early on he recognised the importance of ordaining not only Chinese priests for the Church in China but also the importance of establishing a Chinese hierarchy to lead the local Church. Today, his zeal and hard work bear fruit in the legacy of well established churches in China and Japan, as well as the missionary societies he inspired.